In March 2017, we completed our on-site winery. It is Tasmania's first 100% solar powered winery, generating power from 108 solar panels on the roof, supported by 80kw of battery storage. Until Vintage 2017, we had made our wine off site, so we're excited about being able to be independent and make wine in our own space. By necessity we believe in small batch winemaking at Moore's Hill as a way of maximising quality and complexity in our wines. Our winemaking philosophy revolves around crafting technically precise wines with both class and character. Good winemaking has nothing to do with luck, rather it reflects a complete dedication to detail, a deep understanding of chemistry and the creativity of the Artist. This strategy is supported through a programme of multiple small picks that means we can sometimes pick a whole block or a single row depending on flavour and physiology. This philosophy allows the vineyard to fully express itself. We make a fully barrel fermented, lightly oaked Chardonnay. 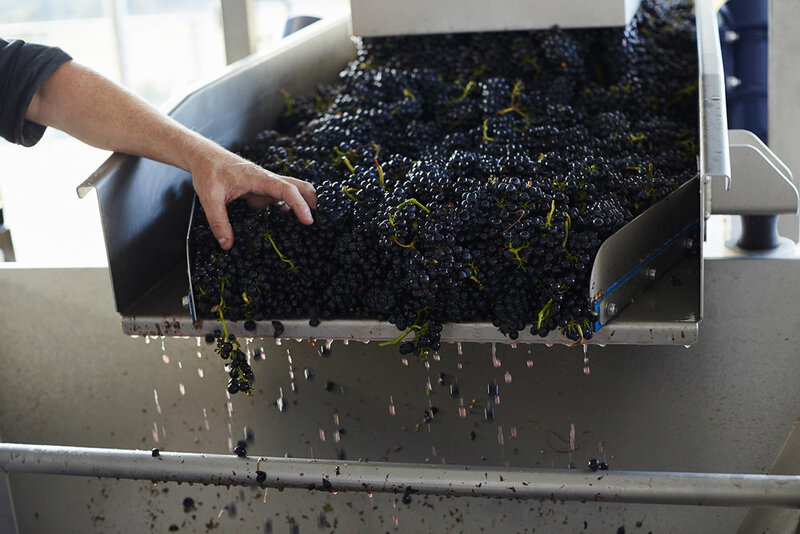 The fruit is handpicked into small bins, pressed and fermented using a combination of wild and dry yeasts. We like to add complexity and structure to our Chardonnay through diversity in the winemaking process, for example, we ferment and mature in a combination of new and old French oak barriques to develop a rounder fuller wine bursting with flavour. Our Pinots are made in small lots based on different vineyard picks. 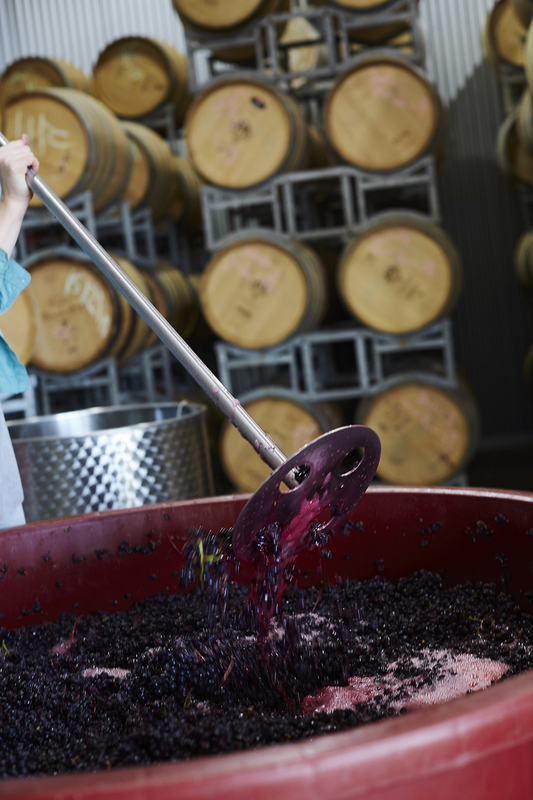 All wines are cold soaked for up to a 10 days to tease out early vibrant colour and cheeky bright fruit characters before being open fermented, pressed and finished in a combination of new and old French oak. After secondary fermentation is completed wines are racked and left in cask to mature for at least 10 months after which time we classify each barrel based on its potential and style. Wines appropriate for our reserve range and then left in barrel for up to another 12 months prior to bottling and wines appropriate for our estate range get lightly filtered then bottled. We have built a reputation for our Riesling through the years winning multiple trophies and medals making Moores Hill synonymous with Tasmanian Riesling. We produce dry and sweet Rieslings bursting with flavour and aromatics while maintaining balanced racy acidity and elegant minerality. We aim to release our Rieslings early however they are built to age extremely well and reward careful cellaring. Follow @mooreshillwine on instagram to keep up with happenings around the vineyard and exclusive appearances from Otto, wine dog. Stay up to date with upcoming events and special offers by following the @mooreshillwine twitter account. We respect your privacy. Your details will never be provided to any third-party organisations. WARNING: Under the Liquor Licensing Act 1990 it is an offence: For liquor to be delivered to a person under the age of 18 years. For a person under the age of 18 years to purchase liquor.